Be the first to share your favorite memory, photo or story of Lyle "Nick". This memorial page is dedicated for family, friends and future generations to celebrate the life of their loved one. 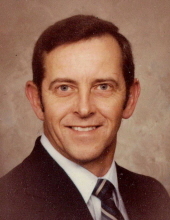 Lyle “Nick” Otha Weaver, 77, passed away on February 9, 2019. Nick was born in Gastonia, son of the late Gilbert Zero and Mona Lura Joy Weaver. In addition to his parents he was preceded in death by a brother, Ted Weaver. He was retired from Sodyeco (Clariant), Mt. Holly with 36 years of service. Nick is survived by his loving wife of 53 years, Jimmie Kirby Weaver, daughters, Leslie Weaver Morton and husband Perry, Becky Weaver Hedrick and husband Tony, sisters, Joy York, Shirley Bynum, grandchildren, Jack, Trent, Chase, Tucker, and numerous nieces and nephews. The family will receive friends from 6:00 until 8:00 pm, Tuesday, February 12, 2019 at McLean Funeral Directors of Gastonia. Entombment will be private. McLean Funeral Directors of Gastonia is serving the Weaver family. To send flowers or a remembrance gift to the family of Lyle "Nick" Otha Weaver, please visit our Tribute Store. "Email Address" would like to share the life celebration of Lyle "Nick" Otha Weaver. Click on the "link" to go to share a favorite memory or leave a condolence message for the family.